Today I heard a story that involves some confusing racism. I’m not sure how to classify someone who seems to have contempt for their own heritage. Not like the psychological angry at the world but like the Dave Chappell “Black White Supremacist”. Just the kind of contradiction that makes you scratch your head. This guy is from Mexico and came over the border as a child. He learned English and worked his way to a supervisor position in construction. He apparently hates anyone who shares that same background because in the construction field a large part of his crew is comprised of Mexicans who don’t yet speak English. I would think that someone with that background would be really helpful to brothers of the same struggle. I would be wrong. As the liaison between the workers and the English speaking world this gentleman assigned whatever vocabulary words he wanted to everyday jobs and objects. The workers dig building footings and pour concrete. He has them convinced that shovels are called “computers”. These poor guys are going home to their families and telling them they work with computers. They are sending money back home and these family members are thinking of a charmed life in the tech industry. I wonder if he calls them something like doctor. I can hear them talking on the jobsite. It should be much less funny but it has become a running joke. With the record snowfalls in New York I had a friend suggest that the demand for computers was on the rise. I wish I could say that’s where it stops but his attitude has spread to the younger generation in his family that were born in America. The word is he has a niece who is an English-elitist who refuses to learn to speak the Spanish of her roots. One day he approached her and asked her if she knew Spanish. She rolled her eyes. Somebody needs to hand that bitchy tween a computer. Is this a thing? Do people overcome odds and then look down on others who didn’t do as well? So in case you were thinking that your children are unappreciative of all that you have done for them, at least they aren’t like this family. You’re welcome. Ive thought it over and it does not “shovel”. Sorry I meant compute. This made me giggle. Guiltily! Deborah, it made me giggle, too. But for some reason not guiltily. Probably because I have a husband with a weird sense of humor. Which is also probably why I Love. This. Post. So. Much. Thank you, Underdaddy! The captioned photos are hilarious. Especially Windows 8. Big and Clunky. 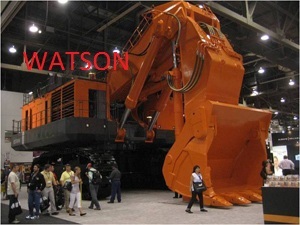 But what the heck is a WATSON? Haha! You never fail to trigger a laugh from me! I have no clue about this population in your area of living, but if asked to describe in brief what is the general opinion about them, how would you describe them? How would majority of your non-Hispanic part of general public describe this ethnic immigrant population? If they score low in society, because their mainstream behavioural traits, like aptitude, attitude, moral values, and the way they interact with non-hispanic part of society are under expectation and the general public opinion about them is bad, some people from the ethnic population may feel ashamed. This sensation can induce a kind of anger toward own culture. I think you are probably right and this family is trying to align themselves with the more mainstream culture. Maybe because immigrants in General have the stereotype of low wage earning and lower social class. I was surprised to learn one of the largest immigrant groups to America is Germans in professional fields.